Create your own version of a perfect retreat.  Customize the combination of time spent working with Ann Randolph and exploring all that Kauai has to offer based on your preferences, time, budget, and interests. Would you like to come for more than just a few days and work with Ann one-to-one? Would you like to spend time in Kauai and have just a few hours of personal coaching with lots of time to rest and refresh on the island? Do you have a group of friends, family, colleagues who would all like to come together for a retreat? Would you like to practice yoga and meditation as a larger portion of your retreat? Would you like a tour of the Napali Coastline? A class in Hawaiian coffee and chocolate? Surfing, Stand-up paddle boarding, Snorkeling or Whale watching? A Luau for your group or Lomi Lomi massage just for you? We would love to work with you to make your dream retreat a reality. Our feeling is, if you have an idea - it doesn't hurt to ask! Inquire about scheduling a retreat of any size, for any occasion, to work on any project, and for any amount of time. Based on either personal or group retreat size we may be able to offer accommodations or will make appropriate recommendations for local options. We are fortunate to have many connections around the island for fun, learning, exploring, and relaxing - whatever your pleasure! We welcome all interest in our retreats and will work with you to make your time here the best. With your name and email address below we can let you know all our latest news - upcoming workshops, performances, offers, and special events! We respect your privacy and promise never to share your email address with anyone. You can unsubscribe anytime.